FACT CHECK: Can Federal Government Workers Be Fired After 30 Days of Shutdown? 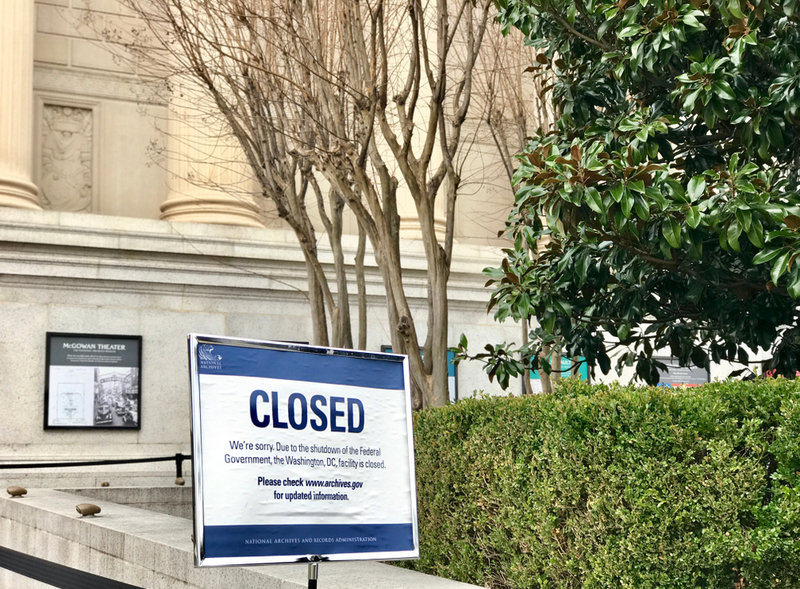 Can Federal Government Workers Be Fired After 30 Days of Shutdown? The law varies depending on the type of shutdown. Federal government employees can be fired after 30 or more days of government shutdown. Under some circumstances, federal employees can be laid off in targeted "reduction in force" plans, or RiF, after 30 days of government shutdown. 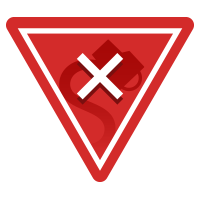 The current shutdown is an "emergency shutdown" in which federal government employees cannot be laid off in RiF actions. 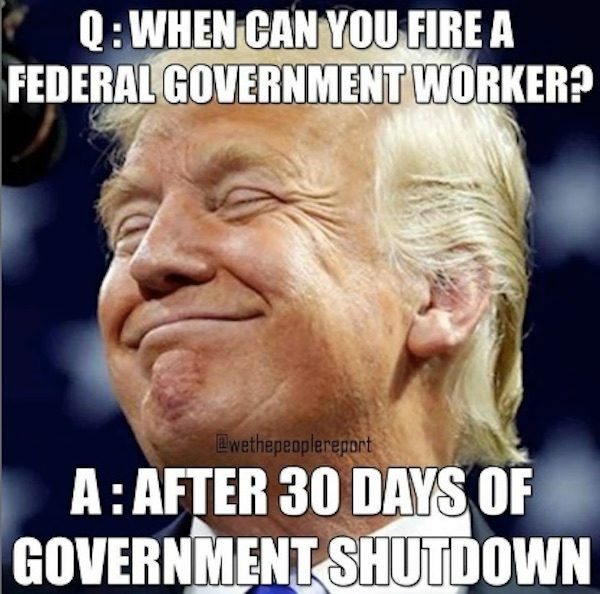 In mid-January 2019, a meme spread on social media that led some users to believe furloughed federal government employees could be fired if the government remains in an ongoing shutdown for 30 days. But that scenario of hundreds of thousands of people losing their jobs in the current shutdown won’t happen. As of this writing on 17 January 2019, the federal government is entering its 27th day of partial shutdown, the longest in U.S. history, and the result of an impasse reached between President Donald Trump and Democratic members of Congress over Trump’s demand to include $5.7 billion in appropriations for new U.S.-Mexico border-wall construction. The shutdown has resulted in 800,000 federal employees going without pay, thousands of whom who have been ordered back to work anyway. ABC News. 15 January 2019. ABC News. 17 January 2019. The Guardian. 14 January 2019.